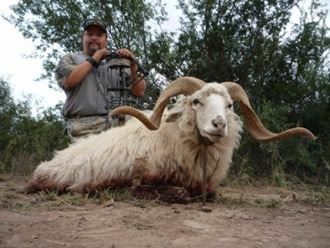 Quebrachal Ranch of Pinto-Villa Union area of Argentina has donated a 7 day hunt for 2 hunters which include trophy fees for 1 Texas Dall Ram, 1 Hybrid Sheep and 1 Multi-horn Ram for each hunter. 18 more species are available to be hunted on the nearly 9000 acres from February to December of 2019 and 2020. Included in your hunt is a stay at a luxury lodge, field preparation of trophies, 1 x 1 guide services, gun usage (rifles and handguns), meals and drinks. Not included are airfare, non-hunter fees (180/day), round-trip airport transfer ($800/group), license ($200), ammunition (usage of guns are free) and dipping and packing of trophies ($750). There is also excellent wing shooting available is you are interested.